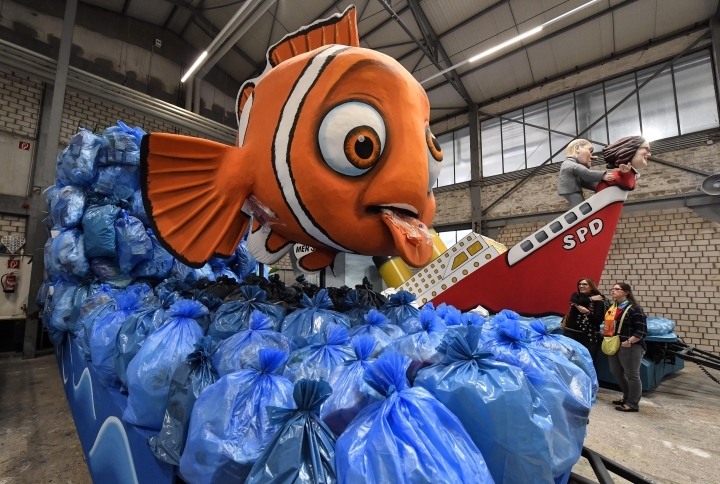 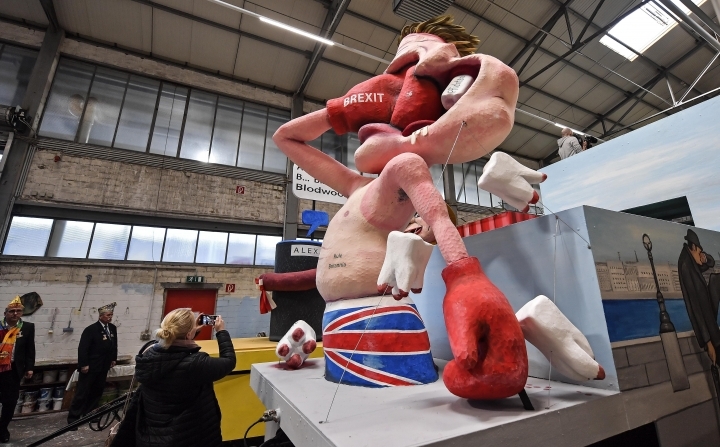 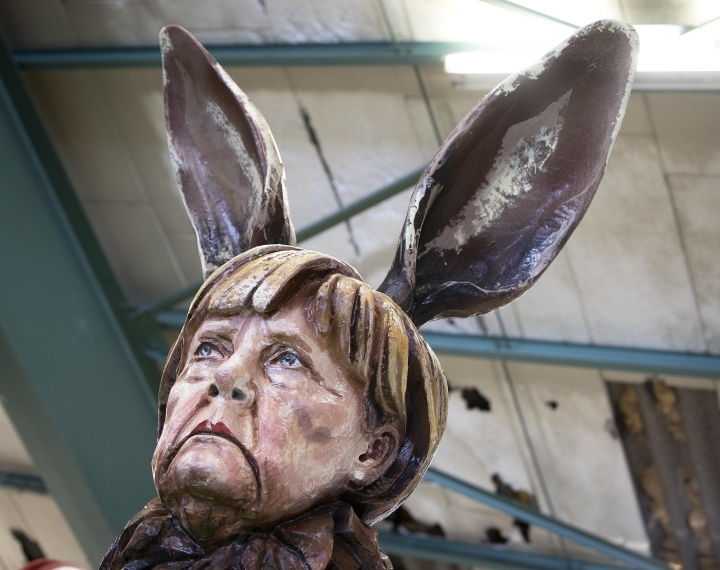 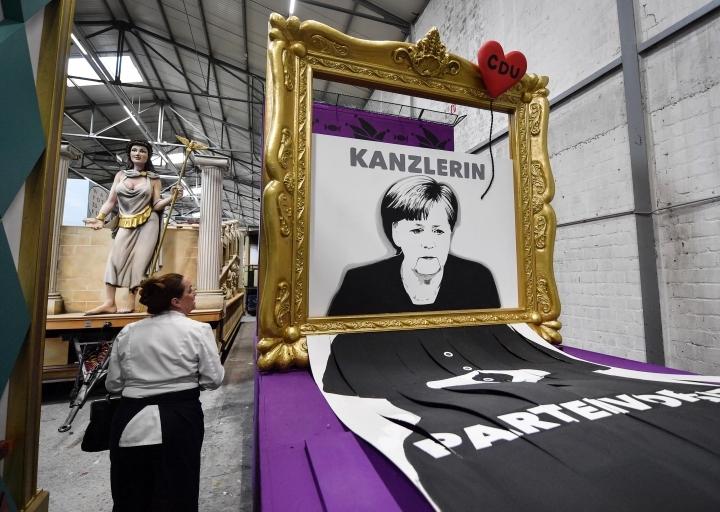 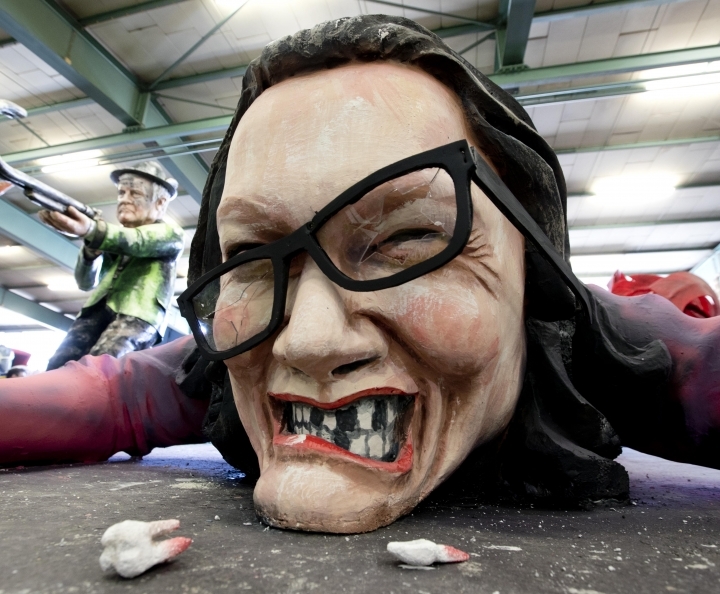 BERLIN — Groups and clubs in Germany are putting the final touches on their elaborate floats with outrageous caricatures depicting political themes for this year's Carnival celebrations. 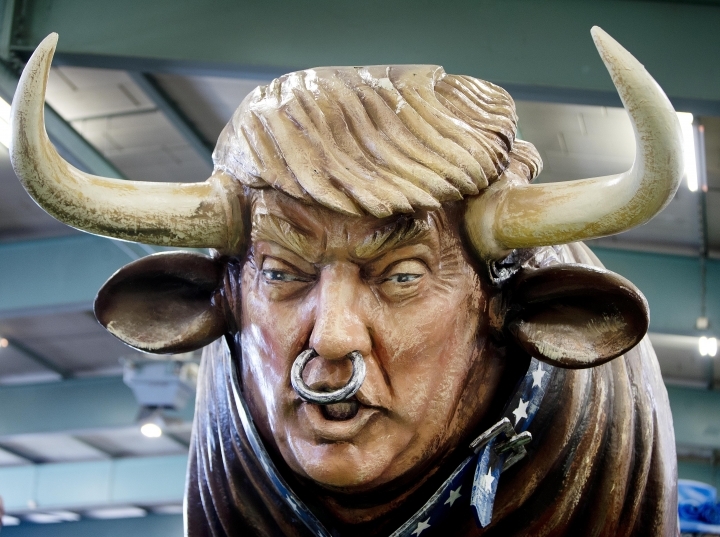 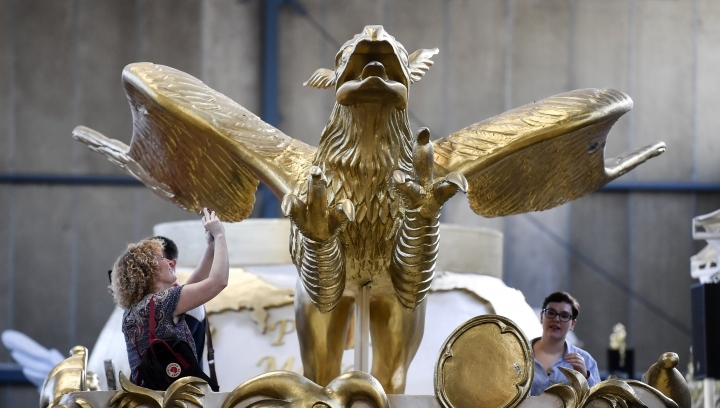 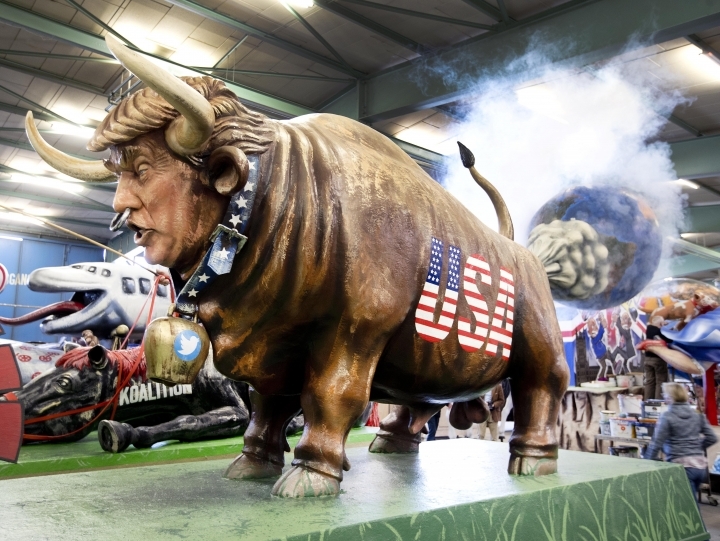 In a workshop in Mainz on Tuesday, an artist worked studiously on a float featuring a bull with "USA" emblazoned on the side, with a horned head depicting President Donald Trump's face, a cowbell carrying the Twitter logo, and a rear end expelling flatulence on the globe. 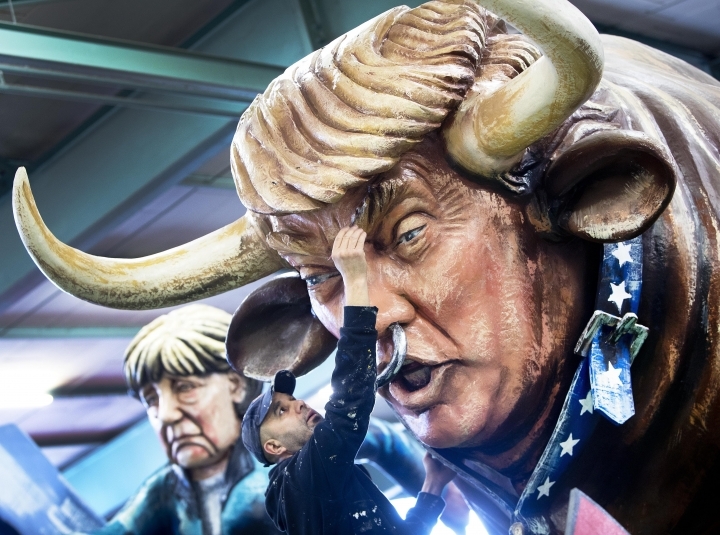 The popular street parades in traditional Carnival strongholds such as Cologne, Duesseldorf and Mainz in western Germany draw millions of dressed-up revelers and schoolchildren every year, and always feature colorful floats that push boundaries with their political parodies that poke fun at the powerful. 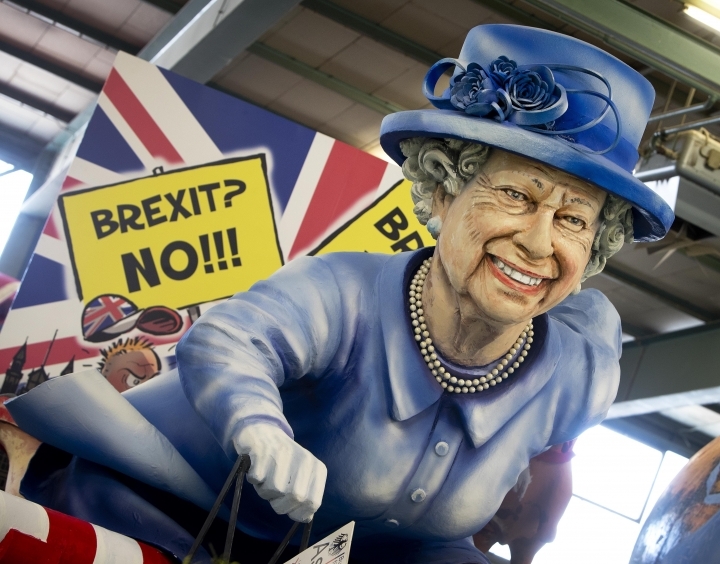 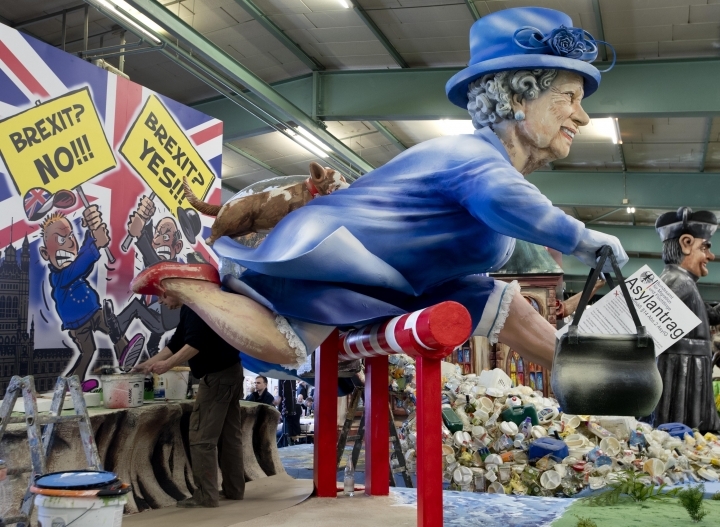 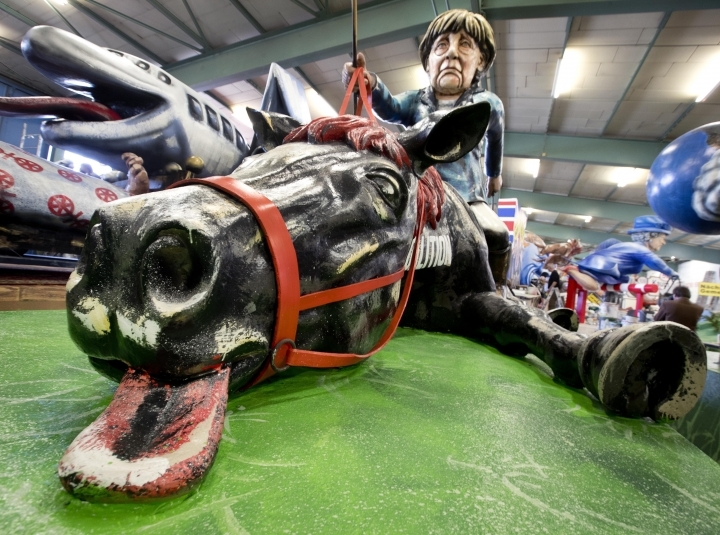 Other offerings that will be part of Mainz's parade next Monday included Chancellor Angela Merkel atop a horse labeled "coalition" collapsed with exhaustion — a nod to fatigue in her longtime government — and Queen Elizabeth II jumping over a border crossing with a German asylum application in hand and faithful corgi at her side to escape her nation's Brexit squabbles. 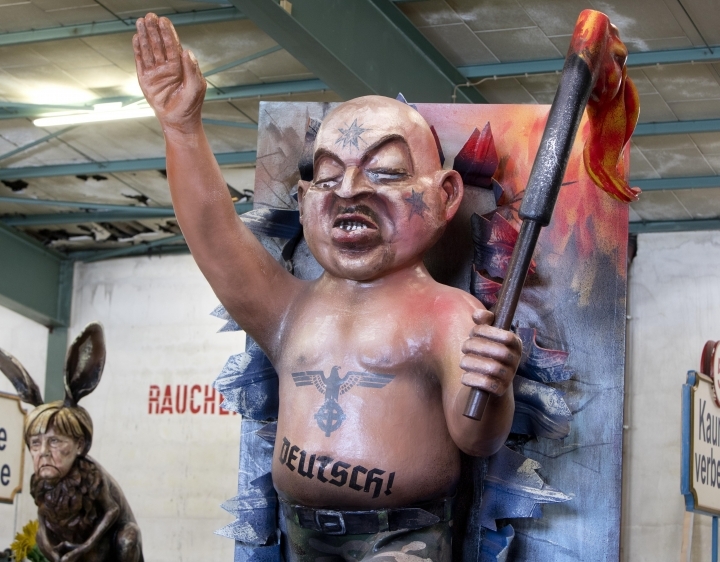 In a jab at the Alternative for Germany party, another float depicts a jack-booted neo-Nazi, holding a torch in one hand and giving the stiff-armed Hitler salute with the other, emerging from a campaign poster for the far-right party.